After a relatively disappointing day out ‘up north’ Phil and I went to our favourite site of Sabkhat Al Fasl. 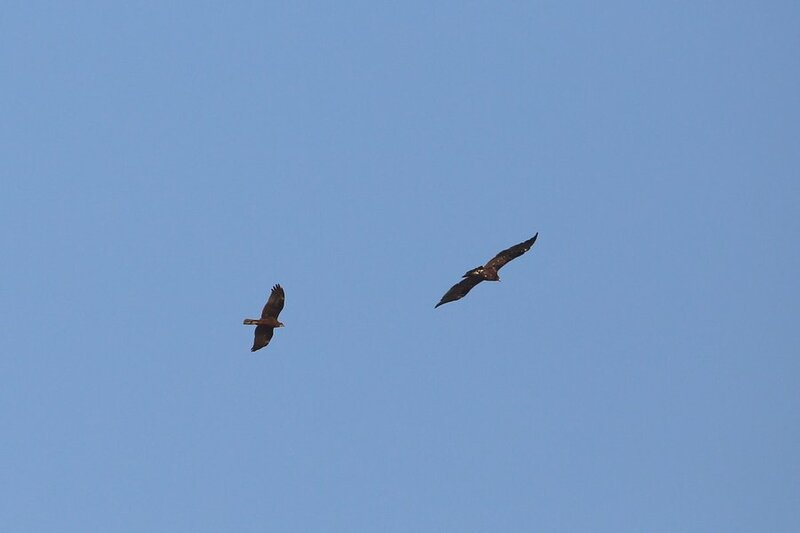 We had been looking for eagles ‘up north’ but found nothing whereas at Sabkhat Al Fasl we saw a minimum of six Greater Spotted Eagles and possibly more. We only had an hour and a half to bird the site but saw more birds here than in the entire day elsewhere. Waders were seen in good numbers with mainly Little Stints, Dunlins and Common Ringed Plover present, but also a few Green Sandpipers were seen. 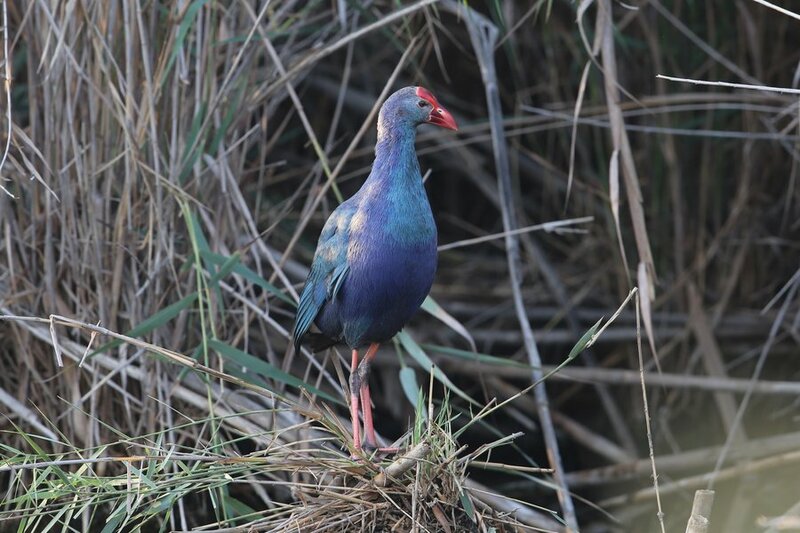 Purple Swamphen numbers appear to be lower this year, possibly due to all the disturbance created by the hunters and fishermen, but a couple were seen today including one that perched out in the open nicely. Black-headed Gull numbers are increasing with well over a hundred birds seen and Marsh Harriers were still common with over ten individuals recorded. 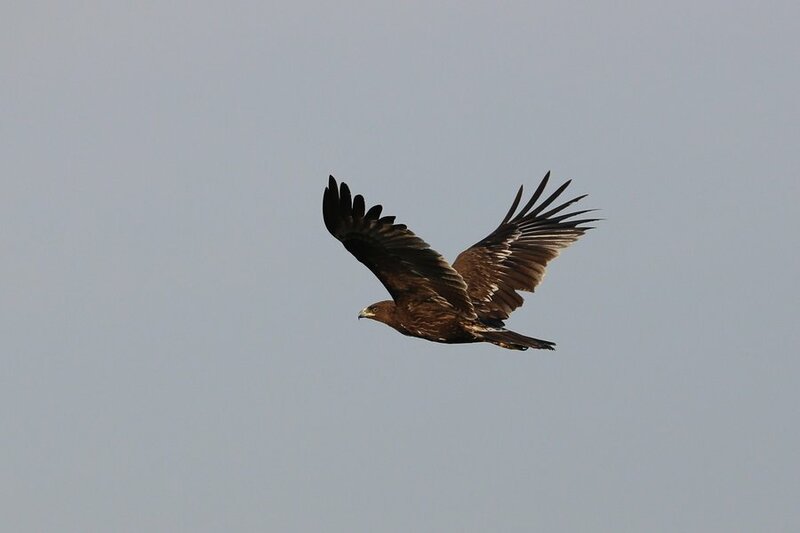 The best bird of the entire day, however, was the last bird seen. 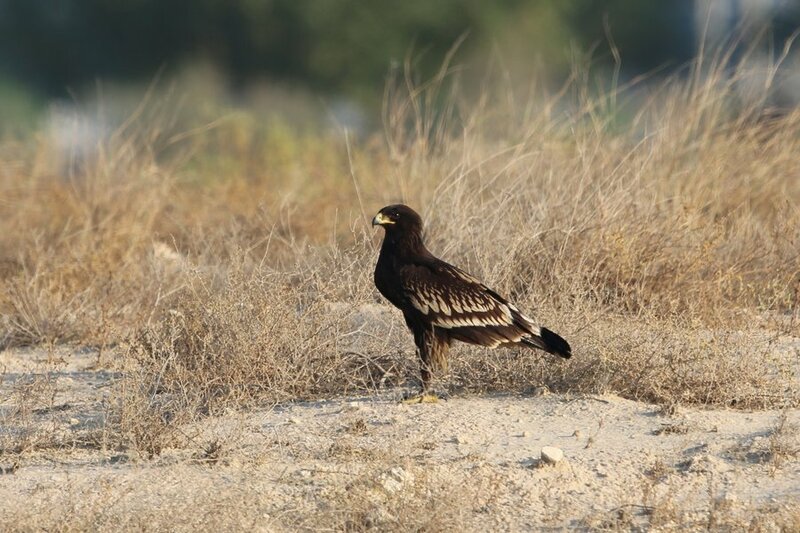 As I was driving back to Dhahran along the road from the site to the main highway Phil asked me to stop as he had seen an interesting bird perched in a tree. On stopping and approaching the bird it proved to be a Long-legged Buzzard which is only the second time I have seen the species in Saudi Arabia. It flew down out of the tree and caught some prey showing off it’s typical underwing pattern nicely and rounding off an otherwise quite disappointing day. Having said that it is always better to be out birding and seeing little rather than not birding. Re your Swamphen (01 Dec 2012), it looks more like African Swamphen (Porphyrio madagscariensis) rather than Purple (Porphyrio porphyrio), albeit I've only got the one image to go on. What's your take on this thought? Do you have any pictures of the mantle?